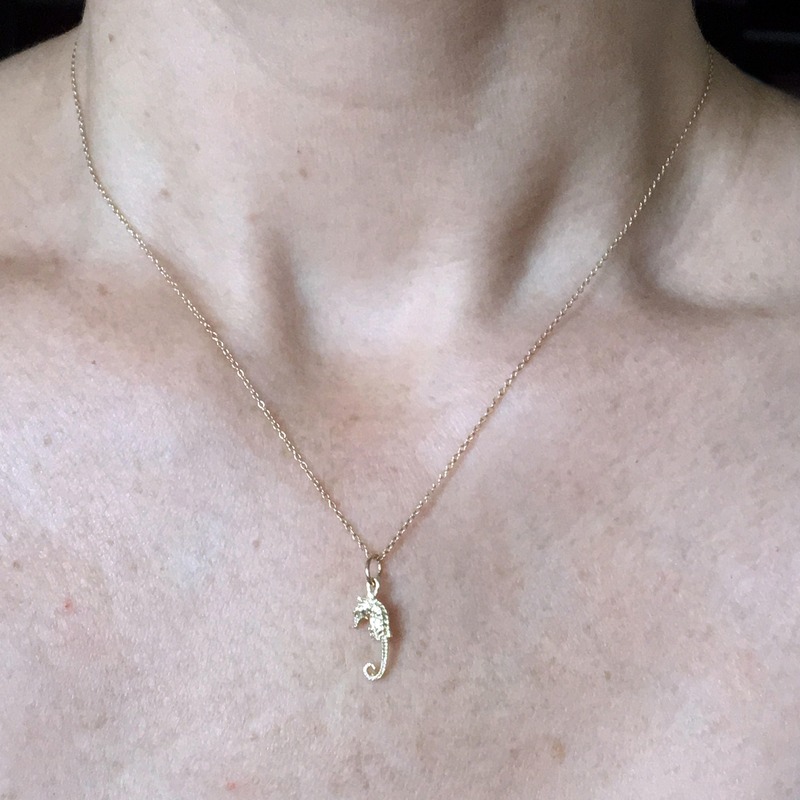 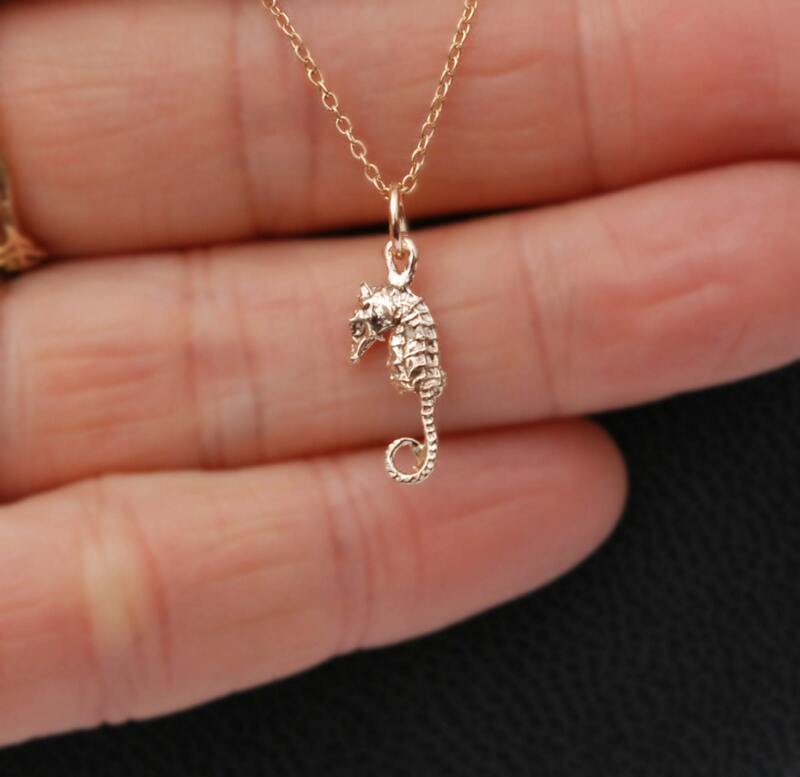 A tiny solid 10k gold seahorse hung on a 16' or 18" superfine solid 10k gold chain. 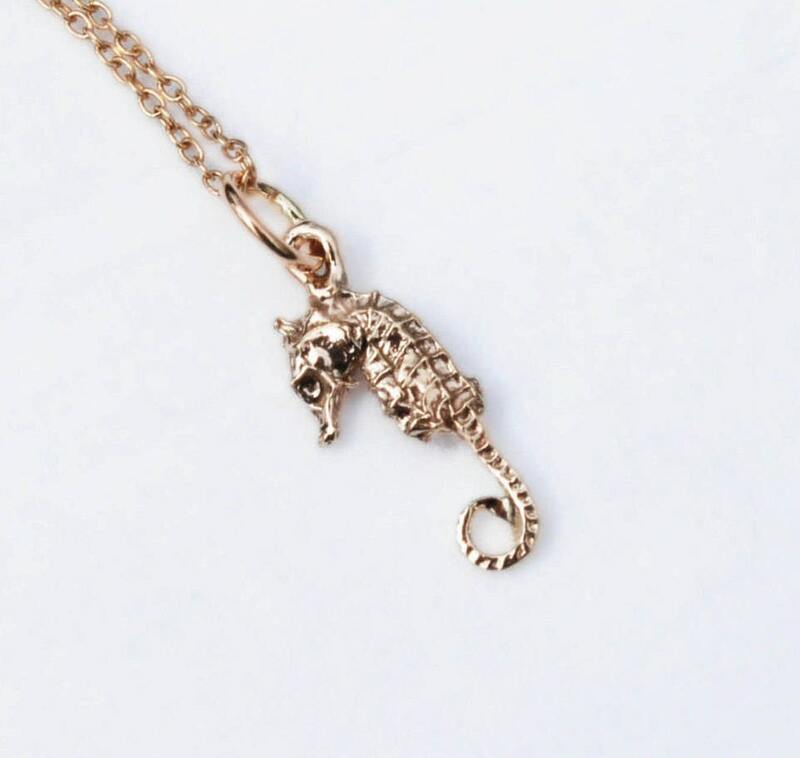 Gold pygmy seahorse measures approx. 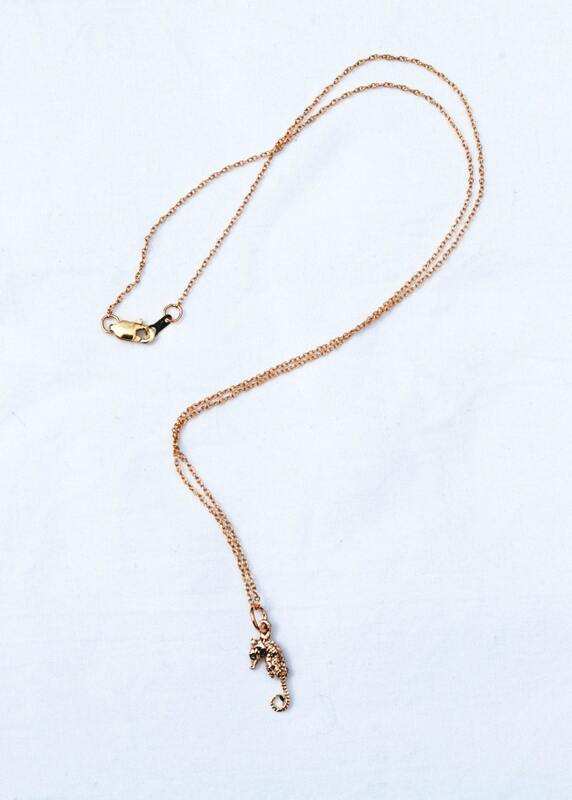 14 mm x 6mm.